How do Austin temporary orders help maintain peace? Divorce can be a stressful and overwhelming process, but one of the most difficult aspects is dealing with the practicalities of separation before the marriage is fully dissolved. 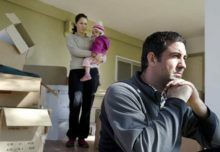 You and your spouse will need to make a wide range of decisions about your living circumstances, but this can be difficult during the early stages of separation. Divorce laws in Texas make it possible to apply for temporary court orders which allow the terms of separation to be clearly defined while the divorce process takes place. At Newberry Law, we believe it’s very important for any Austin divorce lawyer to discuss temporary orders with their clients. They can help to minimize conflict between spouses and ensure that both parties can navigate life peacefully until the divorce settlement is made permanent. To put it simply, temporary orders are boundaries set by the court which stay in place for as long it takes to finalize the divorce. Hearings for temporary orders tend to be fast; they usually take place just a few days after the request has been made. At the hearings themselves, there is very little time for discussion or testimony. This means you need to have a clear idea of the main issues you face and the outcomes you hope to achieve. Your Austin divorce lawyer will help you to pinpoint these issues and put forward the strongest possible case for you. Which Issues Can Temporary Orders Address? – How time with children is divided. – Who is responsible for making decisions on behalf of children. – Who is responsible for paying expenses for children. – Whether one parent will pay the other child support. – Who lives in and maintains the main residential property. – Who pays the mortgage and utilities for the property. – Who will use and maintain which vehicles. – Whether one spouse will pay the other spousal support. – Who will pay for additional expenses such as health insurance. Will Austin Temporary Orders Have an Impact on the Final Divorce Settlement? Although not permanently binding, temporary orders can often become the basis for permanent court orders when the divorce is finalized. This is why it’s so important to have an experienced Austin divorce lawyer to advocate for you during the temporary order hearing. However, if you do not achieve the outcome you hoped for after a hearing for temporary orders, this doesn’t mean to say you won’t achieve your desired outcomes with permanent orders. Furthermore, temporary orders can be changed by the courts if there are significant changes in a spouse’s circumstances. Having a skilled Austin divorce lawyer or child custody lawyer on your side will certainly help you get the very best outcome from temporary orders. For more information about temporary orders or to discuss the complexities of your divorce with one of our attorneys, please get in touch.